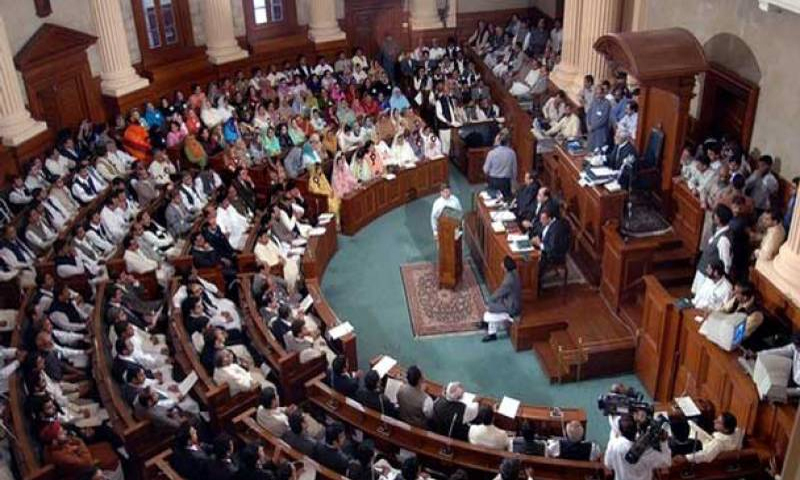 LAHORE: The treasury passed 12 bills during the Punjab Assembly session on Wednesday, that was also the last session before the completion of the government’s tenure on May 31. At the beginning of the session, the opposition members led by Mian Mehmoodur Rasheed came closer to the rostrum of Speaker Rana Iqbal, raising slogans against the Sharif brothers and demanding punishment for ousted prime minister Nawaz Sharif on the charge of committing sedition. They torn apart copies of the day’s agenda and tossed the pieces into the air, also blaming the government for the country-wide power breakdown. Rasheed said it was the failure of the government which had been bragging about producing surplus electricity in the country. Three new bills were introduced— The Drugs (Punjab Amendment) Bill 2018, The Punjab Legal Aid Bill 2018 and the Punjab Criminal Prosecution Service Inspectorate Bill 2018. The Punjab Fertilizers Bill 2018 was also introduced which the speaker referred to the standing committee concerned for filing a report by May 28th. Nine other bills already introduced in the house and checked by the standing committees concerned were also passed swiftly. The opposition remained out of the house during the process which was completed in 45 minutes. Among the laws that were passed in the session were, The Punjab Witness Protection Bill, The Punjab Government Servants Housing Foundation (Amendment) Bill 2018, The Punjab University of Technology Rasul Bill, The Punjab Bonded Labour System (Abolition) (Amendment) Bill 2018, The Explosive Substances (Punjab Amendment) Bill , The Registration (Punjab Amendment) Bill, The Registration (Punjab Second Amendment) Bill, The Punjab Land Revenue (Amendment) Bill and The Punjab Agricultural Marketing Regulatory Authority Bill.